PAGE 4: SPRING SPORTS 2017 PRESS & DAKOTAN ? PLAIN TALK Senior-Less Bucks Work To Improve On Sixth Place ESD Finish BY ROGELIO RODRIGUEZ TENNIS sports@yankton.net EDITOR’S NOTE: This article originally appeared in the March 31 edition of the Press & Dakotan. The Yankton High School boys’ tennis team will be looking to show the Eastern South Dakota Conference (ESD) that age is just a number this year as they prepare for their 2017 season with no seniors on their roster. “Although we do not have any seniors on the team this year, we are not short in the leadership category,” said second-year coach Ryan Hage, whose squad opened the season on April 1 with a home sweep of Vermillion and Sioux City Heelan. Having finished sixth at the ESD tournament last season, and third the season 4/1 4/4 4/7-8 4/12 4/18 4/20 4/25 4/29 5/1 5/2 5/6 vs. Vermillion (W 9-0)/Heelan (W 9-0) vs. Brandon Valley/Roosevelt Roncalli Tourn. noon/9 a.m. at Huron/vs. R.C. Central 10 a.m. at Washington/vs. Vermillion 1 p.m. vs. Harrisburg 4 p.m. at Vermillion 4 p.m. at Madison/vs. Watertown 9 a.m. at Mitchell/vs. Pierre 10:30 a.m. at Lincoln/vs. S.F. Christian 1:30 p.m. at Brookings/vs. Aberdeen Central/ vs. Huron 10 a.m. 5/8 at O’Gorman 4 p.m. 5/9 at Mitchell/vs. Brandon Valley 1 p.m. 5/12 ESD (Brandon) 8 a.m. 5/18-20 State (Sioux Falls) 9 a.m./8 a.m. prior, the Bucks are keen on returning their name into the running for a top finish this season. “The goal is to compete for an ESD championship and a podium finish at the state tournament,” said Hage. This year the Bucks will return 16 players and add seventh grader Gage Becker to the roster. Other teams will note absence of seniors this year. However, the Bucks only had three seniors on the roster last season and managed well throughout the season. Tanner Dykstra, Nathan List, and Ben Mooney were the only players to leave the Bucks last season. “We did well the last two seasons for how younger we were,” said junior Hunter Rockne. Four of the Bucks’ top six finishers are back this season and will provide leadership for this young line up. Rockne, Sam Mooney, Michael Frick, and Isaac Klimisch will be leading the Bucks on their quest to an ESD title. “Hunter was our Flight 1 singles player last season and is looking good to improve on an impressive sophomore season,” Hage said, “Sam, Mi- chael, and Isaac all competed at the varsity level in 2016 and bring a wealth of experience and attitude to the team this year.” Hage stated that the overall goal is to compete for a conference title and get on the podium at state. How will they go about doing that? Rockne believes that their youth will play to their advantage. “Other teams like Aberdeen, Mitchell, and Brandon Valley have all graduated a good amount of players and we have players who have all improved a lot,” said Rockne. Rockne has not ruled out a top finish at either the ESD or state tournaments this year. He credits the squad’s improvement and confidence to the competition amongst their own players this year. 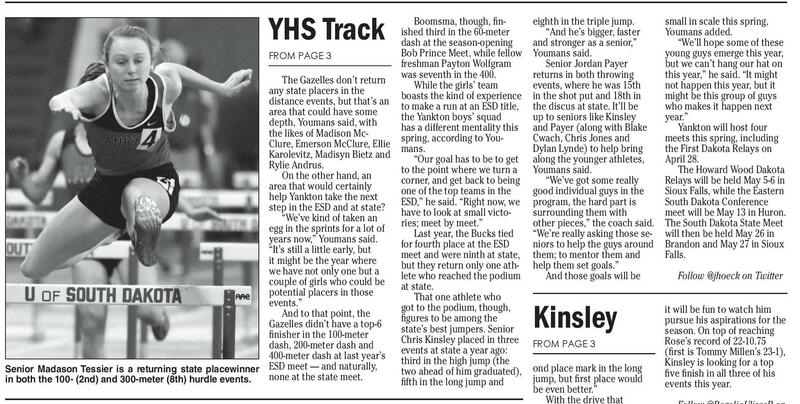 TENNIS | PAGE 5 YHS Track Boomsma, though, finished third in the 60-meter dash at the season-opening Bob Prince Meet, while fellow FROM PAGE 3 freshman Payton Wolfgram was seventh in the 400. The Gazelles don’t return While the girls’ team any state placers in the boasts the kind of experience distance events, but that’s an to make a run at an ESD title, area that could have some the Yankton boys’ squad depth, Youmans said, with has a different mentality this the likes of Madison Mcspring, according to YouClure, Emerson McClure, Ellie mans. Karolevitz, Madisyn Bietz and “Our goal has to be to get Rylie Andrus. to the point where we turn a On the other hand, an corner, and get back to being area that would certainly one of the top teams in the help Yankton take the next ESD,” he said. “Right now, we step in the ESD and at state? have to look at small victo“We’ve kind of taken an ries; meet by meet.” egg in the sprints for a lot of Last year, the Bucks tied years now,” Youmans said. for fourth place at the ESD “It’s still a little early, but meet and were ninth at state, it might be the year where but they return only one athwe have not only one but a lete who reached the podium couple of girls who could be at state. potential placers in those That one athlete who events.” got to the podium, though, And to that point, the figures to be among the Gazelles didn’t have a top-6 state’s best jumpers. Senior finisher in the 100-meter Chris Kinsley placed in three dash, 200-meter dash and events at state a year ago: 400-meter dash at last year’s third in the high jump (the Senior Madason Tessier is a returning state placewinner ESD meet — and naturally, two ahead of him graduated), none at the state meet. in both the 100- (2nd) and 300-meter (8th) hurdle events. fifth in the long jump and Stewart Stewart is what her coaches call a “technician” in her events. She has a certain way of breaking down all of her FROM PAGE 3 movements, all of her athletic ability, into individual parts sport,” she said. she can manipulate to get the Who was the coach who most out of performances. pulled her up? Stewart’s “You really have to be a cousin and former Yankton perfectionist and a technician Gazelle Heather Olson (forin those areas to really excel mally Nelson). and go forward,” Youmans “She started it off and now said. Justin (Olson) is my coach It also says a lot about the so it’s kind of a family thing,” person Stewart is, she had a joked Stewart. goal in mind and did not stop As an eighth grader, Stew- until she reached her goal, th art placed 24 at state in the however, she does not plan long jump. As a freshman she on slowing down. took sixth, and as a sopho“I wrote down my goals more she was the champion. for this year, they’re in my Three years and an improve- locker and I look at them ment of 23 places is certainly every day,” said Stewart. not something that happens “I definitely want to stay for most athletes within that healthy this year.” short of a span. Stewart said she is going “The goals are different to try to defend her two titles for everyone,” said Yankthis year and also improve on ton head track coach Luke her performances. Youmans. “She had a goal she “As an athlete you always wanted to reach and other want to improve, you don’t titles just came along the want to go backwards,” she way.” said. The record Stewart was Youmans says that having after was in the long jump, someone like Stewart in the 18-2 held by none other than program has affected everyher cousin, Heather, since one involved, her hard work 1997. In 2016, Stewart broke has rubbed off on the other that with a mark of 18-4.25, girls and everyone is benefitand she also set a new record ting from her success. in the triple jump with a “There were a lot of distance of 37-2.25. highs and lows, some meets “She had the record and didn’t go her way and there that was my striving point to were injuries she had to go get some bragging rights,” through,” Youmans said, “this joked Stewart. “It was a good wasn’t a beautiful story of a feeling and I told Heather I’m kid coming out and having to set the standard high for great success the first time my cousin (Olson’s daughter) she stepped on the track.” to break.” The story of Stewart is How does an athlete make such a dramatic improvement in a relatively short time? 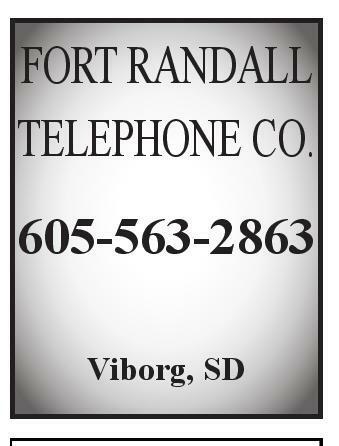 According to Youmans, Heritage FORT RANDALL TELEPHONE CO. 605-563-2863 Viborg, SD Freeman (605) 925-4510 Bridgewater (605) 729-2744 Menno (605) 387-5641 only just being written: Her legacy at the high school level may soon be overshadowed by her feats at the collegiate level. Youmans expressed that this season is the year “she puts the icing on the cake.” “We want her to take her goals and exceed what she had last year and make it a part of betting herself,” Youmans said. According to Stewart, the decision to run track at SDSU caused a stir in her family, as she was deciding between the University of South Dakota and SDSU. “I had people yelling ‘Go Yotes’ and ‘Go Jacks’ so it was hard to decide,” Stewart said. Ultimately, Stewart took some advice, “go on campus and see which place like home.” That was the feeling she felt in Brookings. She said she is excited to start over as freshman and work with her new coach, coach John. “It’s going to be differ- ent since we’re not family,” Stewart joked. At the end of the day, no matter what she accomplishes this spring or in the future, she remains true to her passion, she said. “I’ve been blessed with a God-given talent that I’ve worked extremely hard for,” Stewart said. “I’m going to try and defend my title but whatever comes I’m going to give my full effort and whatever happens is in God’s hands.” Follow @RogelioUlisesR on Twitter Junior Hunter Rockne returns at flight one singles for Yankton, which opened the 2017 season on April 1. eighth in the triple jump. “And he’s bigger, faster and stronger as a senior,” Youmans said. Senior Jordan Payer returns in both throwing events, where he was 15th in the shot put and 18th in the discus at state. It’ll be up to seniors like Kinsley and Payer (along with Blake Cwach, Chris Jones and Dylan Lynde) to help bring along the younger athletes, Youmans said. “We’ve got some really good individual guys in the program, the hard part is surrounding them with other pieces,” the coach said. “We’re really asking those seniors to help the guys around them; to mentor them and help them set goals.” And those goals will be small in scale this spring, Youmans added. “We’ll hope some of these young guys emerge this year, but we can’t hang our hat on this year,” he said. “It might not happen this year, but it might be this group of guys who makes it happen next year.” Yankton will host four meets this spring, including the First Dakota Relays on April 28. The Howard Wood Dakota Relays will be held May 5-6 in Sioux Falls, while the Eastern South Dakota Conference meet will be May 13 in Huron. The South Dakota State Meet will then be held May 26 in Brandon and May 27 in Sioux Falls. Kinsley it will be fun to watch him pursue his aspirations for the season. 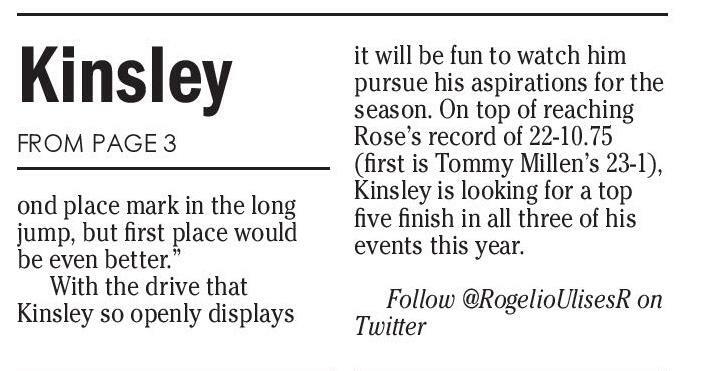 On top of reaching Rose’s record of 22-10.75 (first is Tommy Millen’s 23-1), Kinsley is looking for a top five finish in all three of his events this year. 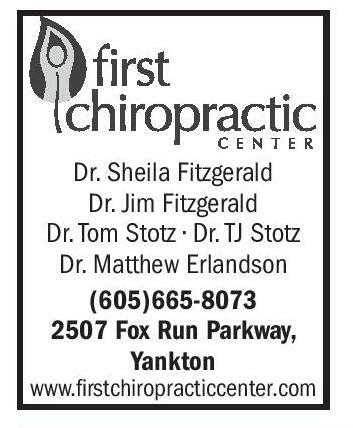 FROM PAGE 3 ond place mark in the long jump, but first place would be even better.” With the drive that Kinsley so openly displays Dr. Sheila Fitzgerald Dr. Jim Fitzgerald Dr. Tom Stotz • Dr. TJ Stotz Dr. Matthew Erlandson (605)665-8073 2507 Fox Run Parkway, Yankton Follow @jhoeck on Twitter Follow @RogelioUlisesR on Twitter 2504 Fox Run Parkway 665-4433 www.firstchiropracticcenter.com Roy Johnson Roofing, Inc. “Your Home Town John Deere Dealer” • Standard Seam • Repairing & New Roofs • Built-Up Roofing • One-Ply Roofing System Fred Haar Co. Hwy 50, Yankton • 800-952-2424 Hwy 81, Freeman • 800-251-6912 Hwy 46, Wagner • 888-384-4580 Mitchell • 800-952-2362 FREE ESTIMATES www.deerequipment.com 500 Burleigh Yankton • 665-7731 VIBORG-HURLEY COUGARS 4/13 W. 21st St. • 665-9311 Yankton, SD 57078 4/28 4/26 5/2 5/5 5/10 5/19 5/23 6/5-6 Boys’ & Girls’ Golf Southeast South Dakota Small-School Inv. 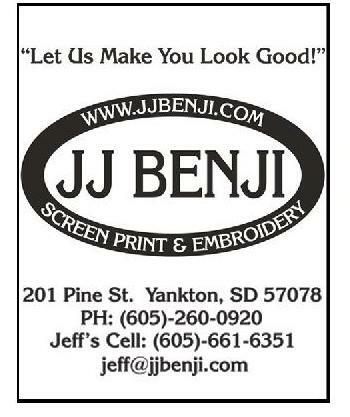 (Fox Run, Yankton) 9 a.m. Parker Inv. 9 a.m. Gayville-Volin Inv. (Yankton) 9 a.m. Baltic Inv. (Renner) 9 a.m. Irene-Wakonda Inv. 10 a.m. Tri-Valley Conf. (Fox Run) 9 a.m. Pre-Region (Sioux Falls) 8 a.m. 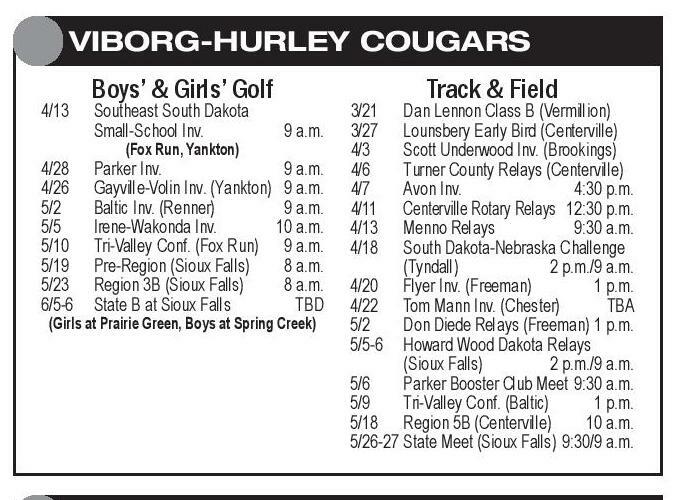 Region 3B (Sioux Falls) 8 a.m. State B at Sioux Falls TBD (Girls at Prairie Green, Boys at Spring Creek) 3/21 3/27 4/3 4/6 4/7 4/11 4/13 4/18 Track & Field Dan Lennon Class B (Vermillion) Lounsbery Early Bird (Centerville) Scott Underwood Inv. (Brookings) Turner County Relays (Centerville) Avon Inv. 4:30 p.m. Centerville Rotary Relays 12:30 p.m. Menno Relays 9:30 a.m. South Dakota-Nebraska Challenge (Tyndall) 2 p.m./9 a.m. 4/20 Flyer Inv. (Freeman) 1 p.m. 4/22 Tom Mann Inv. (Chester) TBA 5/2 Don Diede Relays (Freeman) 1 p.m. 5/5-6 Howard Wood Dakota Relays (Sioux Falls) 2 p.m./9 a.m. 5/6 Parker Booster Club Meet 9:30 a.m. 5/9 Tri-Valley Conf. (Baltic) 1 p.m. 5/18 Region 5B (Centerville) 10 a.m. 5/26-27 State Meet (Sioux Falls) 9:30/9 a.m. FREEMAN FLYERS 4/13 Boys’ & Girls’ Golf Southeast South Dakota Small-School Inv. 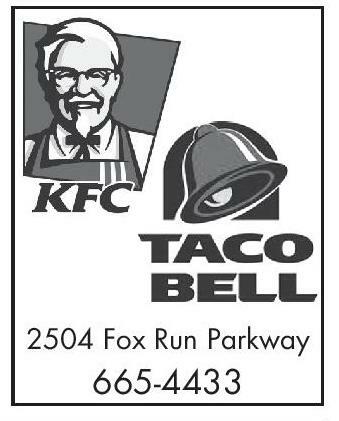 (Fox Run, Yankton) 9 a.m. 4/20 4/26 5/3 5/5 at Parker TBA Gayville-Volin Inv. 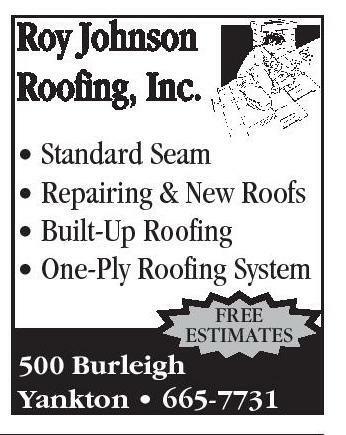 (Yankton) 10 a.m. Cornbelt Conf. (Par-Mar) 9 a.m. Bridgewater-Emery Inv. 9 a.m. 5/10 5/22 5/30 6/5-6 MCM Inv. (Salem) 8:30 a.m. Pre-Region (Sioux Falls) 8 a.m. 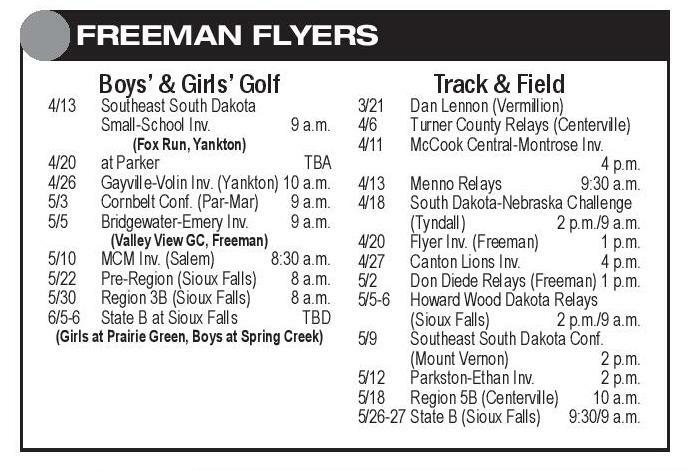 Region 3B (Sioux Falls) 8 a.m. State B at Sioux Falls TBD (Valley View GC, Freeman) (Girls at Prairie Green, Boys at Spring Creek) 3/21 4/6 4/11 Track & Field Dan Lennon (Vermillion) Turner County Relays (Centerville) McCook Central-Montrose Inv. 4 p.m. 4/13 Menno Relays 9:30 a.m. 4/18 South Dakota-Nebraska Challenge (Tyndall) 2 p.m./9 a.m. 4/20 Flyer Inv. (Freeman) 1 p.m. 4/27 Canton Lions Inv. 4 p.m. 5/2 Don Diede Relays (Freeman) 1 p.m. 5/5-6 Howard Wood Dakota Relays (Sioux Falls) 2 p.m./9 a.m. 5/9 Southeast South Dakota Conf. (Mount Vernon) 2 p.m. 5/12 Parkston-Ethan Inv. 2 p.m. 5/18 Region 5B (Centerville) 10 a.m. 5/26-27 State B (Sioux Falls) 9:30/9 a.m. We’ve Got You Covered!” Larsen Carpet 208 Walnut, Historic Downtown Yankton 605.665.2067 M-F 10am-5:30pm, Sat. 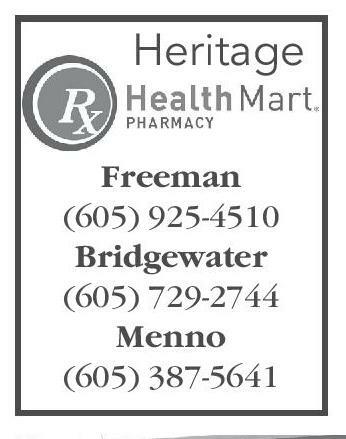 9am-Noon, Weekends & Evenings by Appt. 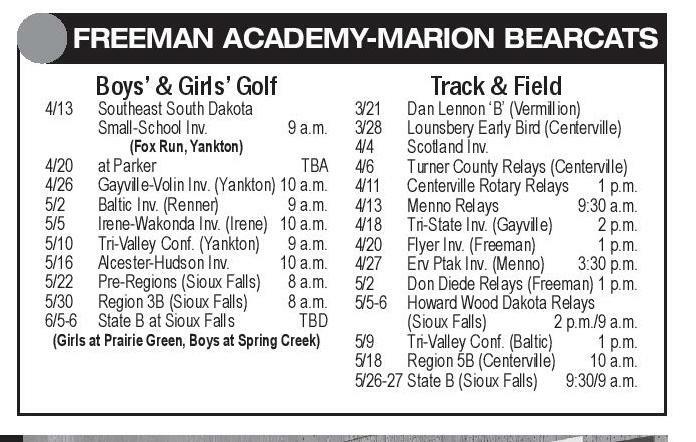 Carpet • Vinyl • Laminate • Wood FREEMAN ACADEMY-MARION BEARCATS 4/13 4/20 4/26 5/2 5/5 5/10 5/16 5/22 5/30 6/5-6 Boys’ & Girls’ Golf Southeast South Dakota Small-School Inv. 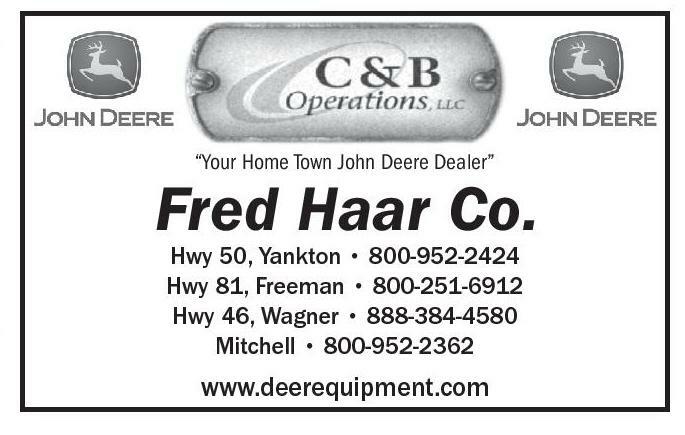 (Fox Run, Yankton) 9 a.m. at Parker TBA Gayville-Volin Inv. (Yankton) 10 a.m. Baltic Inv. (Renner) 9 a.m. Irene-Wakonda Inv. (Irene) 10 a.m. Tri-Valley Conf. 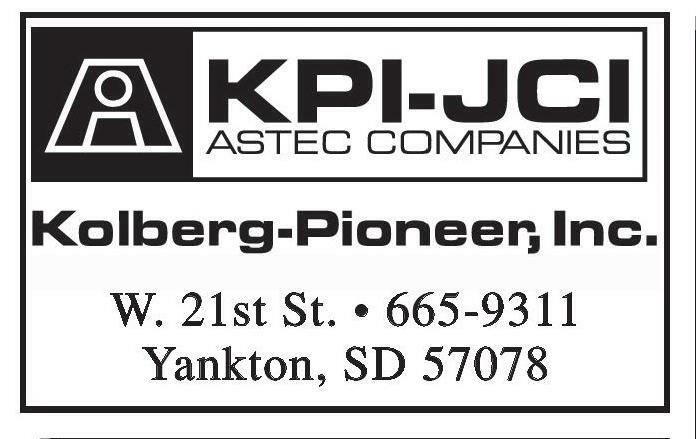 (Yankton) 9 a.m. Alcester-Hudson Inv. 10 a.m. Pre-Regions (Sioux Falls) 8 a.m. Region 3B (Sioux Falls) 8 a.m. State B at Sioux Falls TBD (Girls at Prairie Green, Boys at Spring Creek) 3/21 3/28 4/4 4/6 4/11 4/13 4/18 4/20 4/27 5/2 5/5-6 Track & Field Dan Lennon ‘B’ (Vermillion) Lounsbery Early Bird (Centerville) Scotland Inv. Turner County Relays (Centerville) Centerville Rotary Relays 1 p.m. Menno Relays 9:30 a.m. Tri-State Inv. (Gayville) 2 p.m. Flyer Inv. (Freeman) 1 p.m. Erv Ptak Inv. (Menno) 3:30 p.m. Don Diede Relays (Freeman) 1 p.m. Howard Wood Dakota Relays (Sioux Falls) 2 p.m./9 a.m. 5/9 Tri-Valley Conf. (Baltic) 1 p.m. 5/18 Region 5B (Centerville) 10 a.m. 5/26-27 State B (Sioux Falls) 9:30/9 a.m.